The Rotary Club of Melbourne Beach proudly presents three amazing bands for fun-filled family day of entertainment to benefit 3 area charities being Guitars4Vets, Genesis House, and Melbourne Beach’s own Ryckman Park! 1) Highway 1 Band from Melbourne – playing Trop Rock and Soft Rock with a steel drum complement from 12:00 to 2:00 PM. This is an amazing and fun Band! 2) Classic Airwaves Band from Orlando - playing Classic Rock from 2:30 PM to 5:00 PM. If you have been to Epcot you have seen this band under a different name! They do lots of large Disney Corporate Events! 3) Southern Drawl Band from Knoxville Tennessee - playing upbeat Southern and Country Rock from 5:30 PM to 9:00 PM. This nationally touring Band appeared and electrified last year’s first Southern Squall. 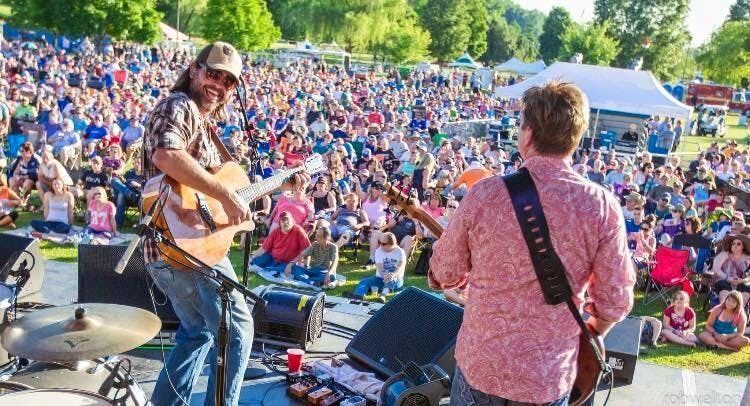 They have graced the stage and opened for legends such as Lynyrd Skynrd, Charlie Daniels Band and Jimmy Buffett as well as with classic country artists like Aaron Tippin, Neil McMcoy, and Pure Prairie League right up to modern day stars such as Brantley Gilbert, Blackberry Smoke, Eli Young Band and Justin Moore. There are no age requirements to enter this event. Children 10 and under accompanied by an adult are free.